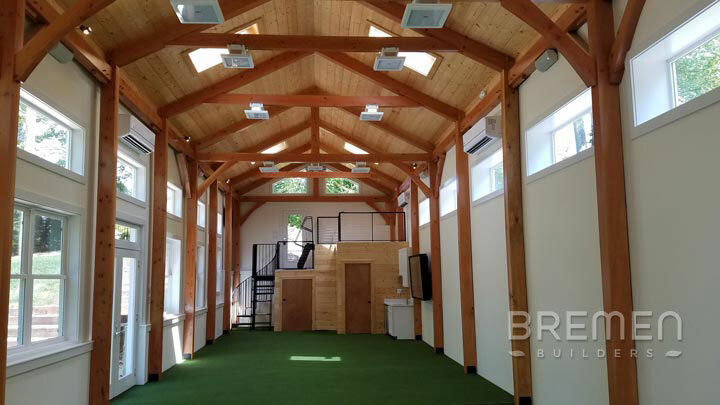 “We wanted an outbuilding which could be used for sports-training, primarily softball (or baseball). I spoke with a number of contractors and decided that Bremen Builders had the best credentials for the job. 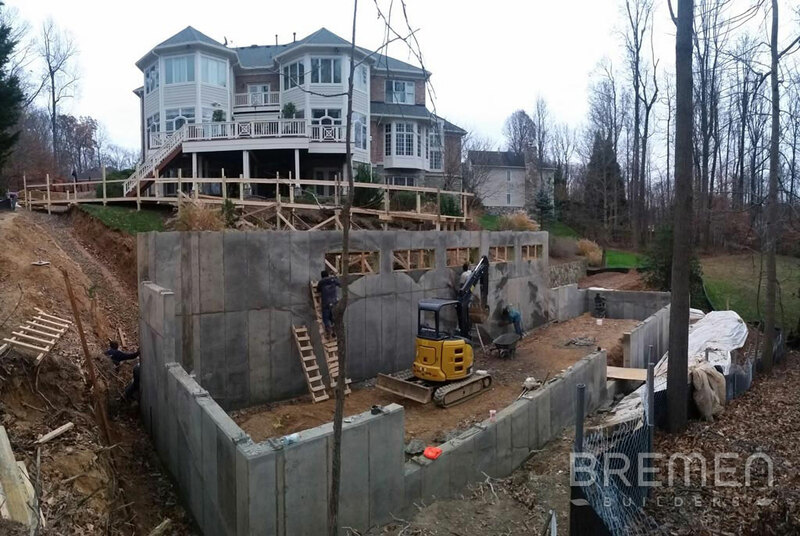 Importantly, the contractor (Gil Amaro) had significant experience with the rules, codes, required set-backs and permitting processes in Fairfax Country. Gil also had a trusted network of professionals including an architect, site engineer, landscape designer, and landscapers. Because each of them had an established relationship with Gil, they were responsive to him and the needs and timeline of my project. The result was one-stop shopping with Gil overseeing the project and ensuring quality control at every point. From the beginning, the topography and location of our project created challenges. Our back yard slopes sharply away from the house. Essentially it is a gully, the base of which is 33 feet below the grade of our basement. 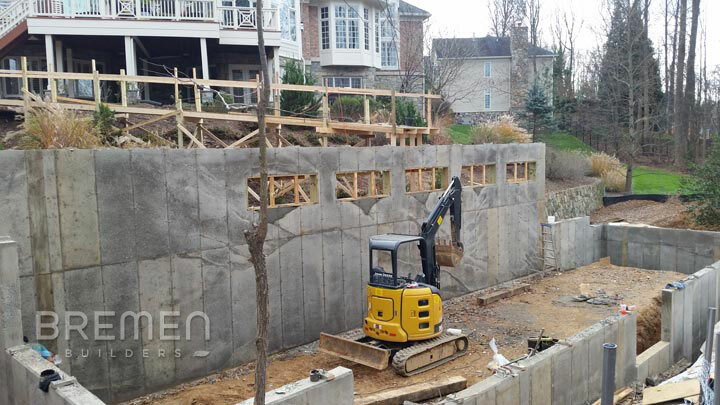 The back yard already had a long retaining wall already in place, and the irregular shape of our property presented additional problems because of Fairfax County’s required set-backs from our property line. It also is heavily wooded. The challenges of the location were so daunting that a few subcontractors and suppliers declined to even work on the project. Importantly, during the design phase, Gil suggested that we consider the potential resale value in the overall design, such that the building could be re-purposed when we eventually sell. Instead of a nondescript rectangular building, Gil suggested a hybrid post and beam interior with a 14-20 foot high ceiling, abundant windows (some even custom-designed for the building’s shape) and skylights with retractable shades to bring in natural light. 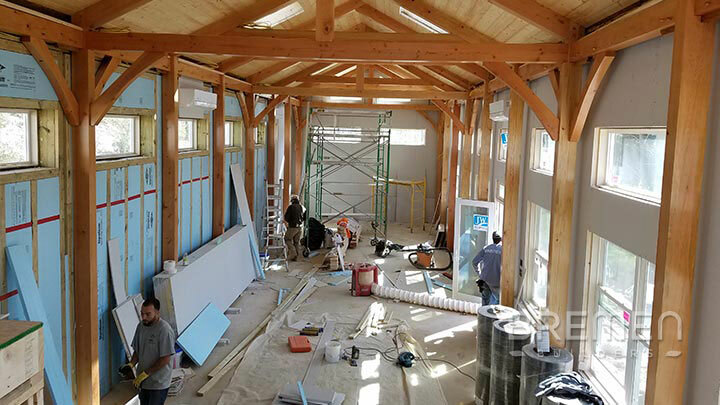 We provided running water, a full bath, a wet bar, electricity, and all electrical and electronic connections such that building has internet and fiber optic connections for audio and video. Importantly, the resulting building easily could be re-purposed in the future as an in-law apartment, work-out facility, art studio, garage for collectible cars, or even (incredibly), a pool and pool house. 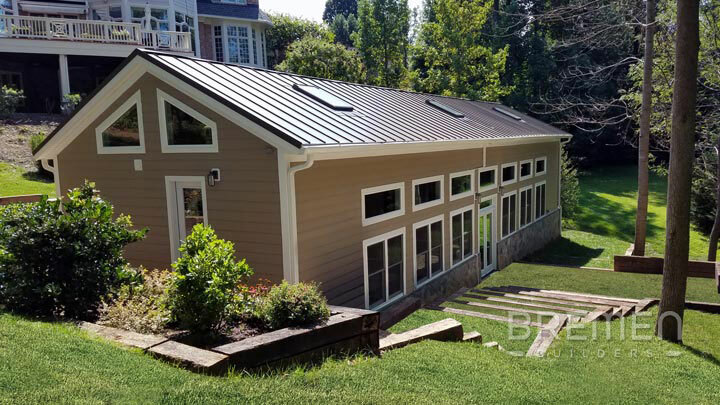 Working with Gil and the architect, the design and location on our property went through multiple designs and locations on the property until we finally settled on one that was both functional and aesthetically pleasing. But that was only the beginning. 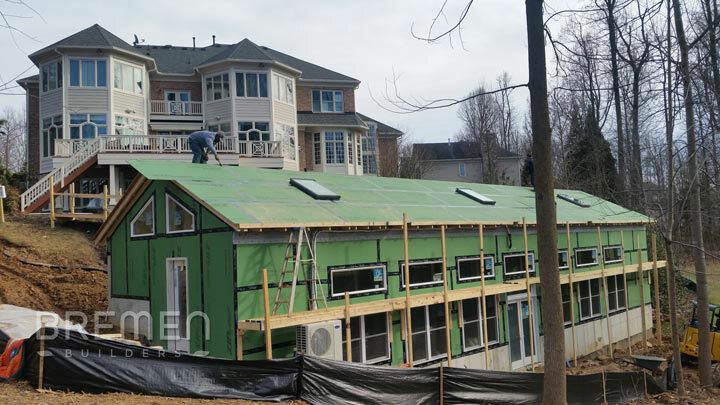 My homeowners association has specific requirements for anything built on a property within the association, and requires a modifications application that includes detailed plans and drawings. (The landscape designer was able to translate the architect’s plans into beautiful renderings.) Gil even attended the homeowner’s association committee meeting with me in order to answer any questions that might arise. We were approved. Then the work started -- permitting, site surveys, soil analysis and detailed blueprints. A construction entrance was cleverly built into our front yard so as to preserve two mature trees. Gil was knowledgeable above every step in the process and kept us informed about what was happening and what we could expect next. 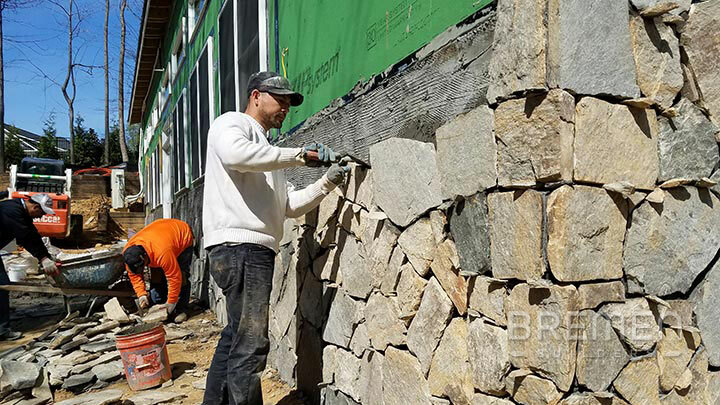 One thing we noticed and found comforting is that one or more of the Bremen core team was on site almost every day, as was Gil, and this ensured a very high quality standard with both his own crew and subcontractors. They checked and re-checked the work of every subcontractor. The subs did not receive final payment until the Bremen team was satisfied. They had multiple groups come back and make additional modifications until they were completely satisfied. The group that installed the exterior lighting had to come back twice to slightly modify the wood mountings for the exterior lights until they were perfect. 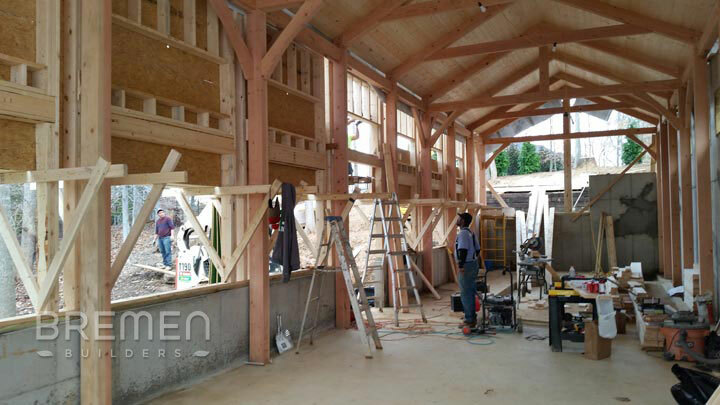 Gil and his team paid very close attention to both the structural and aesthetics details. I quickly learned, however, that the Bremen crew needed no encouragement to do things right. They are a remarkably can-do group that cuts no corners and was committed to doing a first-class job from Day 1. Not only are they talented builders, they offered several critical design suggestions that resulted in a much better building. Plus, they are real engineers. They constantly faced challenges and figured out how to handle them. Running water, sewer, electricity and gas to the out-building far below the grade of the house; ensuring efficient drainage, moving a thousand-pound roll of artificial turf into the building; setting up the batting nets on industrial curtain track so that they could be retracted when not in use; developing specifications for a spiral staircase to save critical space, finding the right lighting, etc., etc. etc.